Snoring is the vibration of respiratory structures and the resulting sound, due to obstructed air movement during breathing while sleeping. In some cases the sound may be soft, but in other cases, it can be rather loud and quite unpleasant. Generally speaking, the structures involved are the uvula and soft palate.While we are asleep, turbulent airflow can cause the tissues of the nose and throat to vibrate and give rise to snoring. Essentially, snoring is a sound resulting from turbulent airflow that causes tissues to vibrate during sleep. Read more after the break..
People are often caught snoring away to glory, much to the dismay and chagrin of others. But sleep as we all know is a physiological state wherein the individual is completely or partially unconscious, thereby you can be assured that he or she isn’t snoring purposefully to invite your wrath! There are many reasons why a person snores, but if you find that your partner or child has snored loudly for a better part of their lives, you better get them checked out by the doctor as it may point towards a sleeping disorder known as Sleep Apnea – Wherein the person stops breathing for around 10 seconds, which can prove to be fatal in some cases! However it should not be confused with snoring, as snoring is a relatively harmless condition while sleep apnea is a medical condition which deprives the body of oxygen and sleep which can lead to a weakened immune system. Muscle Relaxants: Consumption of substances that promote muscle relaxation, prior to sleeping can turn the person sleeping next to you into a snore machine! Alcohol and drugs which cause drowsiness lead to muscle relaxation which includes the muscles of your throat. This relaxation of the throat muscles narrows the air passageway and also allows the tongue to relax which causes it to fall back towards the throat, further constricting the air passageway. Both of these reasons are enough to produce loud snores. Cold or Sinus: People suffering from Cold or sinuses generally have a stuffy nose, this reduces the amount of air that can be inhaled through the nasal passage. To complement this reduction of air being inhaled, the individual beings pulling in air from his mouth, this leads to snoring. Avoid dairy products: Avoid eating dairy products just before going to bed, as ice-creams, cheese, yogurt and curd can cause mucus build up in the throat which can narrow your air passageway leading to snoring. Overweight: Overweight people have extra fatty tissues in their throats, which contribute towards making their air passageways narrower, it is this narrowing of the air passageways leads to snoring in them. Asthma: Asthma or even smoking can lead to snoring due to constant irritation and subsequent narrowing of the air passageway, located in the throat. Other physical conditions which can cause snoring in a person are a smaller jaw, longer tongue, large tonsils and the presence of a soft palate. While these reasons can surely cause snoring, no one can ignore the most common reason why people snore i.e. lying on the back while sleeping, which makes gravity pull the tongue and the jaw back towards the throat which in turn leads to snoring! People who snore often have too much throat and nasal tissue, or “floppy” tissue that is more prone to vibrate. The position of the tongue can also get in the way of smooth breathing. Evaluating how and when you snore will help you pinpoint whether the cause of your snoring is within your control or not. * Losing weight is often a very effective cure for mild to moderate snoring. Even a little bit of weight loss can reduce fatty tissue in the back of the throat and decrease snoring. * Use pillows to keep your neck straight and comfortable. Also, elevate your head, which can sometimes help minimize your snoring. * Stop smoking, as this aggravates the tissues in the throat that make you snore. * Try avoiding dairy products in the evening, as for some people dairy increases mucus build up in your throat, which can contribute to the snoring process. * Get your allergies under control, as this can help reduce your snoring. * Check your medicines. Some medicines, like anthihistamines and sedatives can actually increase your snoring. * Don’t’ eat a big meal before going to bed. * Make an effort to establish a regular sleeping schedule. Sometimes, poor sleep habits contribute to your snoring. * Singing can help as it will exercise and strengthen your throat. Try joining a choir or a musical society and see if you reap these benefits. * We like to drink alcohol as we think is helps us to relax. 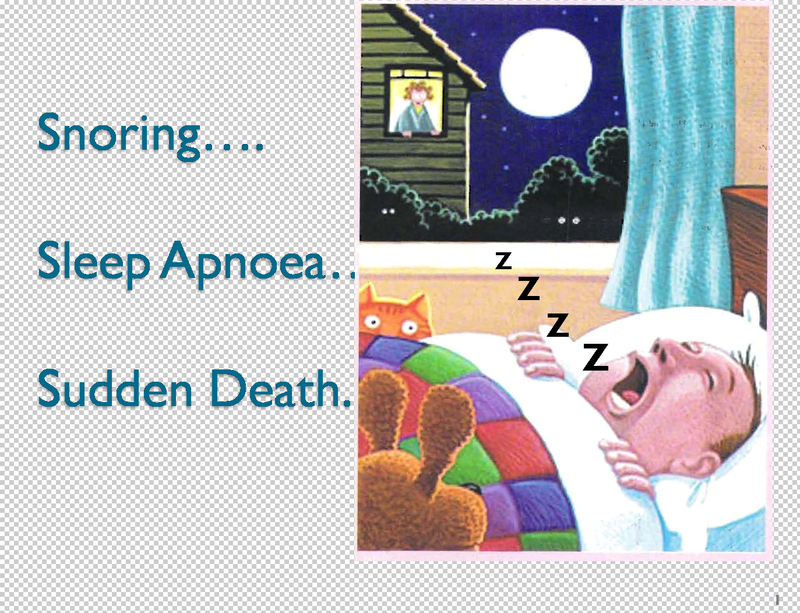 The problem is that it exacerbates snoring in most people so you should try and avoid it before going to bed. There are sufferers of sleep apnea who are ignores and or unaware that they have the problem. If you think you might have sleep apnea, see your doctor. Treatment is necessary to avoid heart problems and other complications.